When 11-year-old Ruby-Jean broke her ankle playing on wet grass, she had to have surgery and a plaster cast. With her ankle in a plaster cast, Ruby-Jean couldn’t manage crutches and needed someone to push her wheelchair. ACC referred her to Enliven who matched her with support worker Sisavaii. Si helped Ruby-Jean get around at school and brought her home every day for about seven weeks. When the cast came off, she continued providing support until Ruby-Jean felt confident walking again. 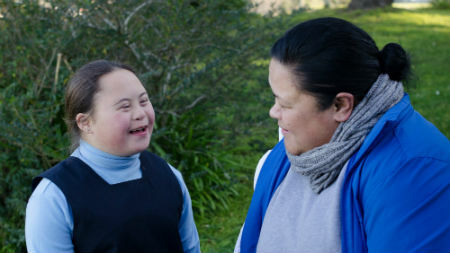 Si’s support meant Ruby-Jean could retain her independence and stay at school. The time they spent drawing, playing games and making cards together also aided the young girl’s recovery. Her mother says Si went “above and beyond” in spending productive time with her daughter.